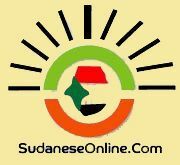 This article comes, as its predecessor, against the backdrop of the outbreak of the Third Sudanese Glorious Revolution of Wednesday December the 19th 2018 during which the Cities, Towns and Villages in all over Sudan rose up with one objective of the overthrow of the arbitrary ruling regime of Omer al-Bashir. As the popular demonstrations continued for the third month in a row as of today 23rd March 2019, chanted "Freedom, Peace and Justice" and Revolution is the Choice of the people” and they set out for the Popular demonstrations which have continued and dozens of processions have been continuing on the 23rd of March in several areas of the Three Town Capital Khartoum after the Friday prayers, as a gathering of professionals has put forward a new map of its movements next week, including the identification of business institutions affiliated to the National Congress Party (NCP) regime affiliates and called for targeting them with economic boycott as a popular tool to derail the sources of wealth of the regime’s corrupt entourage. At this time, as they say that at this time that the ruling National Congress Party in the Sudan led by Omer al-Bashir staggering while the horizon for solutions to Sudan's crises have become blocked and the Prime Minister of the Bashir government says that he is not the reason for the demonstrations and as each of them puts the blame on the other. While each of them puts the blame on the other when the land has narrowed despite its wide capacity as a result of the evils they have committed against the humble and tolerant Sudanese people who rose up when ager reached the climax and the point of no return but the ousting of the regime. As it is known but It is worth mentioning that the forces of the Declaration of Freedom and Change which is the umbrella of a political body chosen by the components of the Sudanese opposition forces, groups called for Omer al-Bashir to resign and form technocrat government with a collegial presidential council to lead the country during a four- year period to end armed conflicts, resolve the economic crisis and prepare for general election. 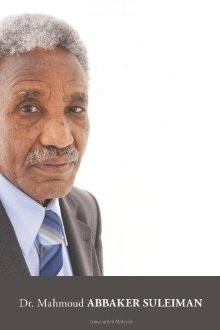 Thus, the unified Sudanese opposition has an unwavering position which explicitly expressed that initiative led by a government-allied coalition, 2020 Forces, to find a way out of the country’s current political crisis following protests to oust President Omer al-Bashir to find approval is considered as the” Seventh Impossible or such as like plowing in the sea, so to speak. The masked militias and shadow forces of Ali Osman Mohamed Taha will not weaken the resolve of the Sudanese people who made the glorious October Revolution in 1964 and the April 1985 triumphant revolution until they see the demise of the genocidal criminal Military coup d'état regime.